I’m a paleoanthropologist, and I study the bones and genes of ancient humans. I’ve worked on almost every part of our evolutionary story, from the very origin of our lineage among the apes up to the last 10,000 years of our history. My work has taken me to Africa, Asia, and Europe, where I have measured thousands of bones and investigated dozens of archaeological sites. In my lab, we use bioinformatics methods to work with whole genome sequences from thousands of living people (and a few ancient ones). We’re interested in uncovering the patterns of relationships that connect people, and the subtle changes by which we adapted to ancient environments. I’m an expert in population dynamics and the process of natural selection on both genes and morphological traits. I’ve used my work in genetics and skeletal biology to form rich collaborations with colleagues in a dozen countries. I love to discover new friends in new places! My academic position is the Vilas-Borghesi Distinguished Achievement Professor of Anthropology at the University of Wisconsin—Madison. Right now, I’m Associate Chair of Anthropology and an associate member of both the Department of Zoology and the J. F. Crow Institute for the Study of Evolution. I am a recent recipient of the UW’s H. I. Romnes Faculty Fellowship and its Vilas Associate award. I’ve been at the University since 2002, and I live outside of Madison with my wife, Gretchen, and our four kids. You can get a PDF copy of my CV to see my full publication list and other professional activities. I’m passionate about the potential of technology to transform science into a more open and public enterprise. I am building and pioneering new open science projects in human evolution. My most recent fieldwork as part of the Rising Star Expedition has shown the potential of open science approaches during paleoanthropological fieldwork. 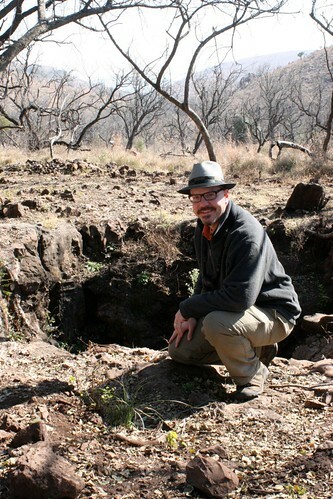 In 2013 we recovered more than 1200 hominin specimens from the Rising Star cave system in the Cradle of Humankind, South Africa, in an expedition led by Lee Berger of the University of the Witwatersrand. In May 2014, we convened a workshop of early career scientists to carry out the first description and analysis of the fossils. With more than 30 early career scientists from 15 countries, we had an exciting time opening this exceptional sample in the new vault at the University of the Witwatersrand. We are now preparing our research for publication. In 2014, I also worked to develop a new massive open online course called “Human Evolution: Past and Future”, which we ran for the first time in January of last year. 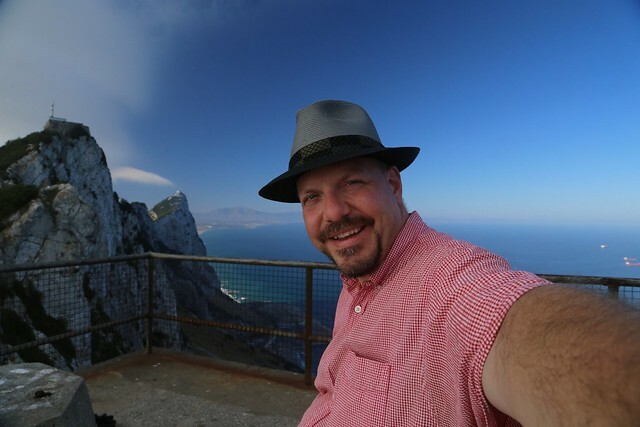 The course followed me around the world as I interviewed experts and visit field sites and original fossil collections, and it was open to anyone with an internet connection, anywhere in the world, for free. We are continuing to develop new materials and release them, to open up education in human origins to everyone in the world. At Malapa, South Africa. Photo by Lee Berger. You’ve found my weblog, so you already know that I spend a lot of time and effort on science communication. In addition to my blog, you can follow me on Twitter, where I’m part of an active community of science communicators. My work has been featured on several television productions and magazine articles, and I spend a lot of time on TV, radio, and print interviews to communicate new results in my field. I also contribute to several science magazines and websites. If you’re a reporter looking for information about a new find, please let me know!